I really liked this movie. Aside from the million bajillion ants, it was alright. Did you see the movie Antz? Years ago the cartoon. It was a cartoon, so if you looked at the ants when they were up close it wasn’t so bad. 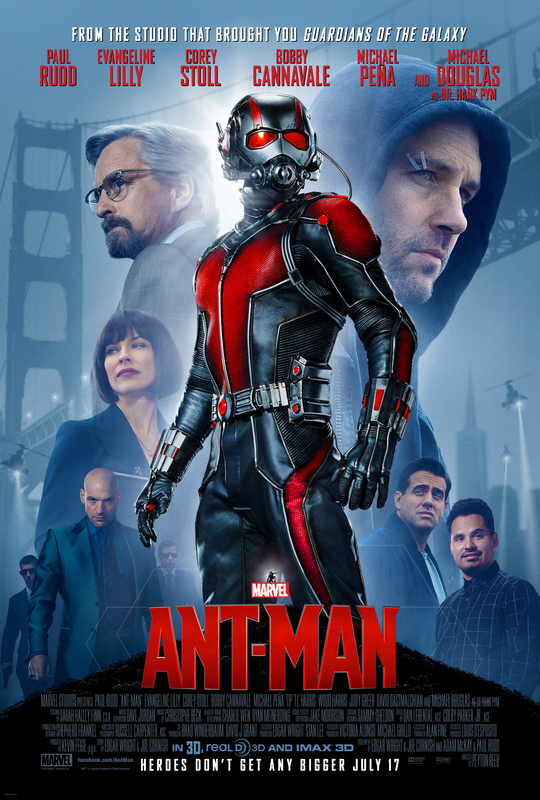 The same goes for this movie, when you’re up close and personal with the ants, they’re kind of cool, the have facial expression, they have personalities. They even have names. This movie, was in true comic book form. It was like the perfect graphic novel jumping off the page. The opening was pretty funny, you had a tragic hero, who only wanted to do right by his daughter and just couldn’t seem to catch a break, hand picked to be a super hero. There was a great cast supporting cast, the hero, I should have told you, played by Paul Rudd, who knew he was such an action hero. Not after seeing him in Clueless oh so many years ago. You had some heavy hitters like Michael Douglas, Evangeline Lilly. In true Marvel fashion there was a hint of Avengers, ok more than just a hint, there were characters and name dropping like crazy. There were struggles to get up to speed, fights with girls, angry daughters, secrets, and finally almost to the end of the film, Stan Lee, this came just after I wondered aloud, “Where is Stan Lee?” and there he was, ten seconds max, but he was there. One of the other cool things about this movie is I learned a few things about ants, well, maybe more than I ever wanted to know, but it was cool none-the-less. To learn why crazy ants are called crazy ants and how they work together to accomplish a goal. Some things you might already know, but others, well, it was a learning experience. All in all, I really liked this movie and I’m looking forward to seeing it again…on my hard drive.